Today I’m feeling brave and want to address the debate that I feel is the most prominent in the reading community. That’s right people, we’re about to discuss the taboo Kindle vs Physical! The big Kindle Vs Physical debate is one that I’ve not gotten myself in to in the past, because let’s face it, who cares what other people read on? I have many (many many many) physical copies of books personally, and I must admit that nothing beats the smell of a new book and actually holding it in your hand, seeing your progress. However, I also am the owner of a kindle and have to say I enjoy that reading experience as well. There definitely are some perks to each of the reading preferences. 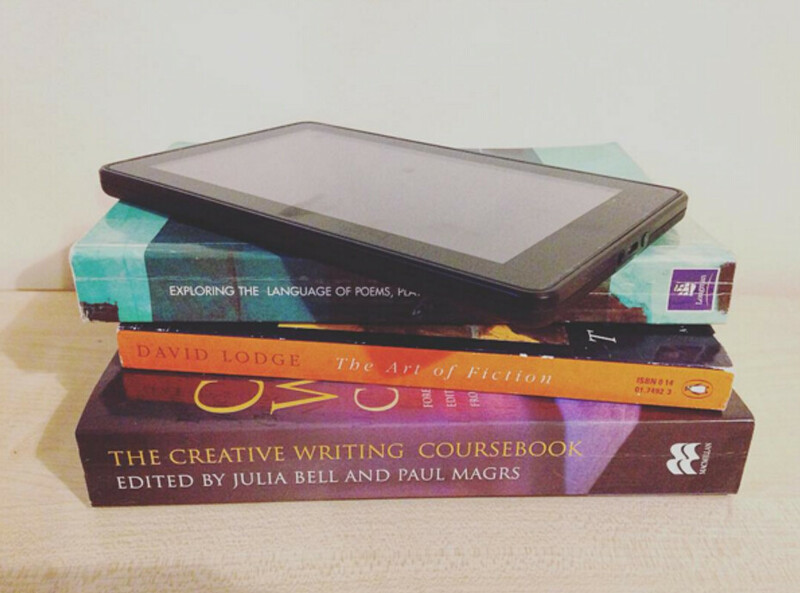 So if you’re stuck on whether or not to turn your bookshelf electronic here are some reasons why I think Kindles are actually a great invention! The other reason it’s good for separating your library is if you are a book reviewer. Often if you get books sent to you by companies, publishers or online review distributors you will get sent a PDF or you can request a PDF copy of that book. Now that I’m in my final Uni year and there are less text books, I’ve started to separate my review books to the books that are on my shelf. I often request them to come straight to my kindle so I know where I’m up to with reviewing. Simple! Personally, I’ve found that if I’m in a little bit of a reading slum reading on my kindle can really help me drag myself out of it. Reading on a kindle is a very different experience to reading a physical copy of a book and just changing up the way you read might get you excited for your next book again. Similarly if you always read on a kindle, try reading a physical book to release yourself from the depths of a reading slump! Many of us readers out there are not gifted in the ways of reading more than one book at once. If I’m honest, I struggle to read a text book alongside a fiction book a lot of the time! However I’ve found that I can easily read a book on my kindle alongside a physical book because the reading experience is so different! So if you’re wanting to read more than one book at once this could very well be the answer to your problems! As I mentioned a little earlier, kindles are ridiculously portable. You can now get kindles around the size of your iPhone 6 which means they will just about fit anywhere! It’s so much easier to carry around a little device than lifting a hardback book everywhere you go. Having a book with you wherever you go can encourage you to read a lot more on the train, waiting for appointments…wherever you are! Yes, this probably is the breaking point for me. Where there are so many books you want to read (and the list never stops growing) you never stop looking for ways to spend less money. Books for your kindle are generally a little or a lot cheaper than a physical copy of a book. They’re a lot easier and cheaper to distribute and produce, meaning you spend less money on your favourite titles! I’m not saying that people should stick to kindles, or just stick to physical copies of books. Ultimately it’s your choice how you prefer to read and personally I enjoy both ways. If you’re struggling with the idea of buying an electronic book device, just take some of these points in to consideration! Kindles are a product of AMAZON and can be purchased from many major retailers.